1. First, the Harami pattern should be recognized on the chart. 2. 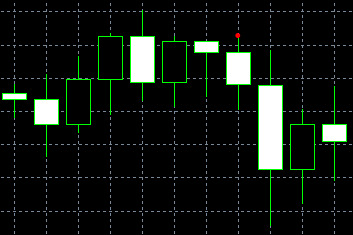 If the third day closes higher, the Three Inside Up pattern forms; and in case of a lower close, the Three Inside Down appears. Being the confirmation of the Harami pattern, the models point to the successful Harami formation only if the price moves in the expected direction. The patterns are as flexible as the Harami. The size and intensity of the second candle can make the models weaker or stronger. 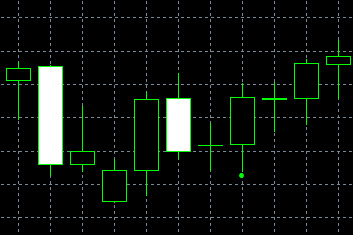 The bullish Three Inside Up can develop into the Hammer pattern; while the bearish Three Inside Down can become the bearish Shooting Star. In both cases, developments support the pattern’s character.